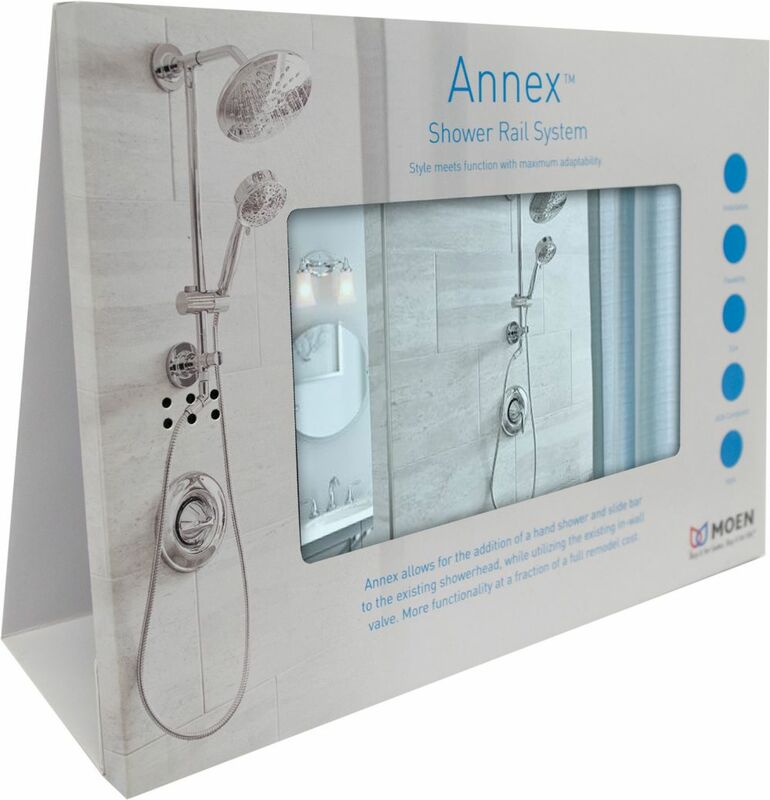 Moen wanted to promote its new Annex™ Shower Rail System in store by providing a video demonstration that would quickly define Annex’s unique features and benefits and highlight for concerned homeowners that the shower enhancement provided an excellent upgrade without the hassles of remodeling. Moen wanted the video display to go into a variety of retail outlets and so needed a versatile design that could allow for easy installation. 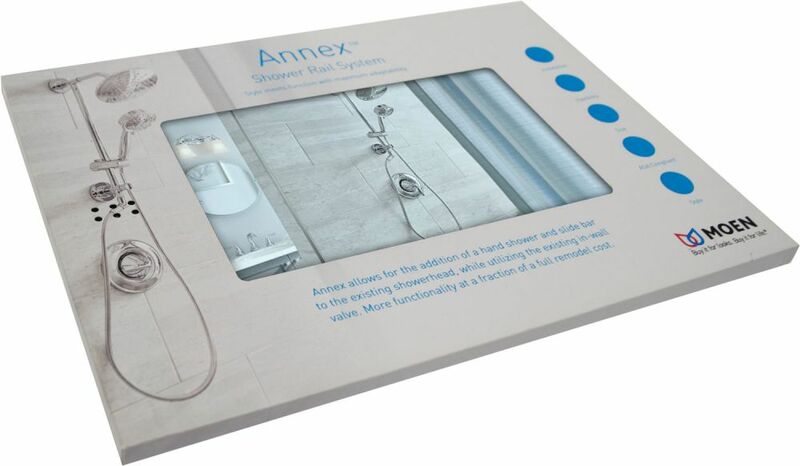 Americhip partnered with Moen utilizing our patent pending Snap-Up Table Tents to create an innovative and informative in-store communication device. 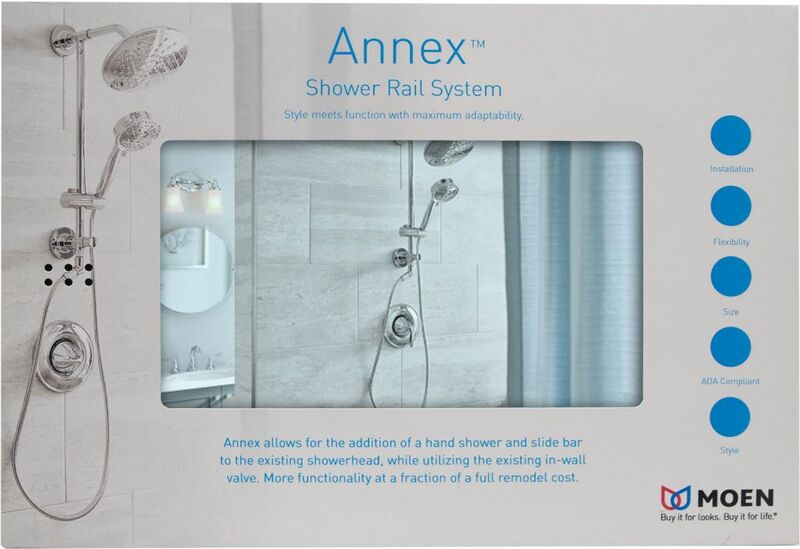 For consumers, the Video Display clearly demonstrated how conveniently the shower unit can be installed. Our large 7” screen was the perfect display panel to broadcast the live action and animated video demonstrations of the new product. Our chapter buttons allowed consumers to cycle through and engage with all of the content at the pace best suited for them. Beyond this value, our innovative Snap-Up Table Tents were the perfect design for the brand and retailer as they ship flat and then pop up with no assembly required. The units can be placed on any flat surface—countertop, register, shelf, etc. This unique in-store design is an excellent example of Americhip’s ability to pair state-of-the art technology with innovative, efficient paper engineering at an affordable price.